In an interview with the series producer, Eiji Aonuma, new details emerge about an alternate ending and the return of Epona. The Legend of Zelda: Breath of the Wild, is set to release alongside the Nintendo Switch on March 3 and now, new details have surfaced on what we can expect from the upcoming title. During an interview with IGN Portugal, series producer Eiji Aonuma, stated that we will have an alternate ending to the game. In addition to the bombshell, Eiji also hinted at a return of Link's trusty companion, Epona. “There is an alternate ending if you meet certain criteria. If you do a few things you might see a different ending.” Aonuma said. As for what the alternate ending could be, is anyone's guess, but it is interesting that players must meet a certain criteria in order to achieve it. Alternate endings in games have been common in recent years, however not many are achieved by meeting set criteria's but instead usually rely on decision making. 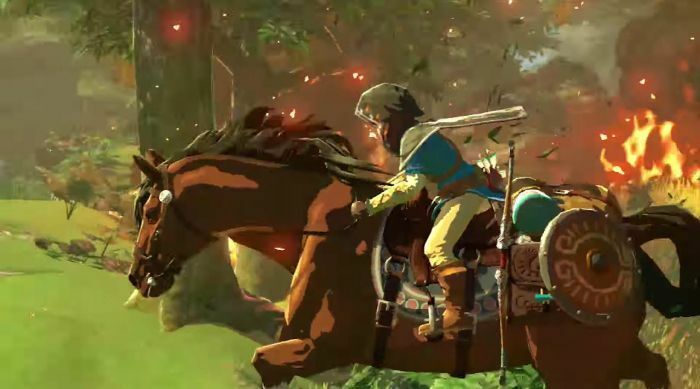 Aonuma had also said that Epona is in Breath of the WIld but, he did not share anymore details on where she’s located or any other information about Link’s horse. “As for Epona she’s in Breath of the Wild, but I do not want to reveal details about how to find her, or what that means,” he said. It will be interesting to see where Epona and if finding her will lead to you having to find something else. The Legend of Zelda: Breath of the Wild releases on March 3, as a launch title for the Nintendo Switch. What do you think about having an alternate ending? Where do you think Epona will be? Let us know in the comments below.